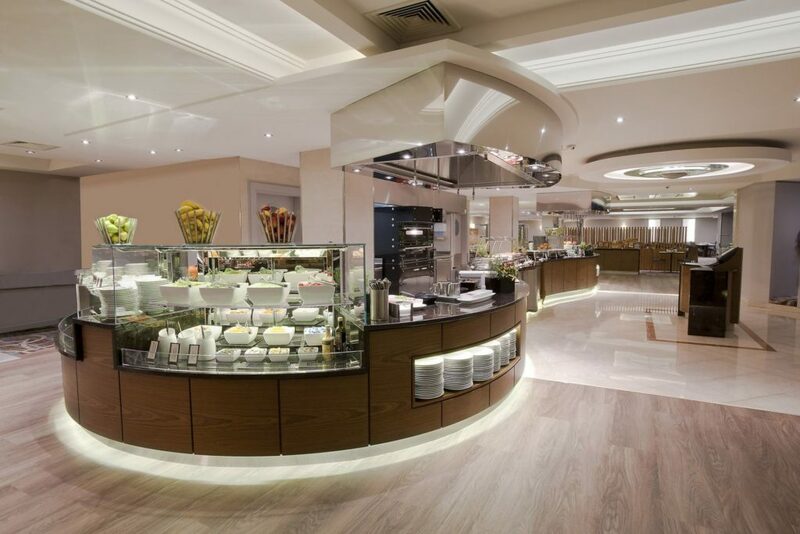 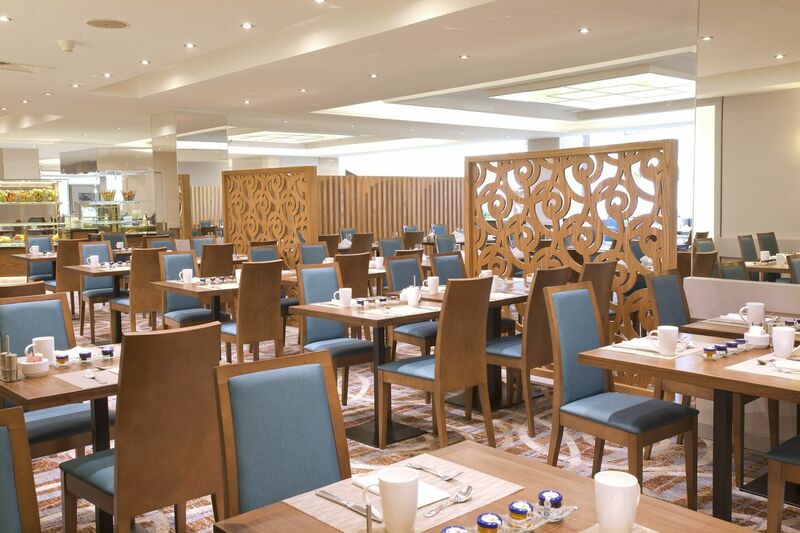 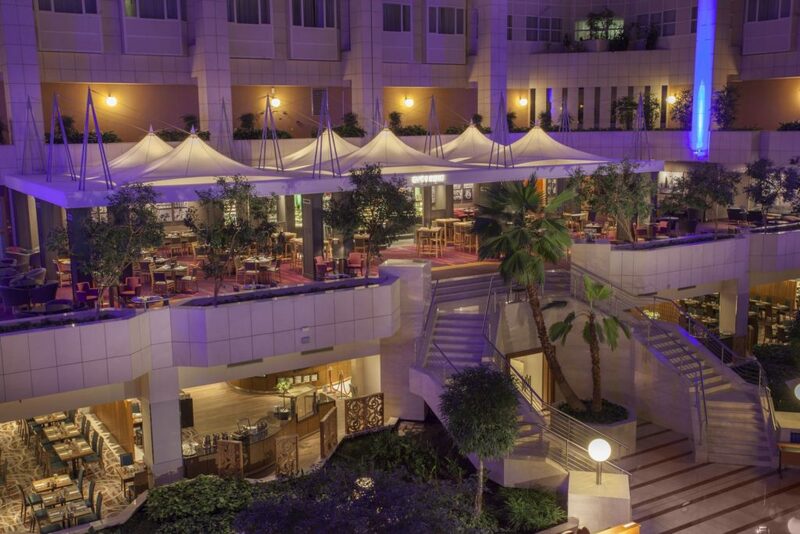 The breakfast and lunch restaurant and the café & bistro are both prominently located in the central atrium space of the hotel. IBA were asked to re-design both outlets as part of an ongoing refurbishment programme. 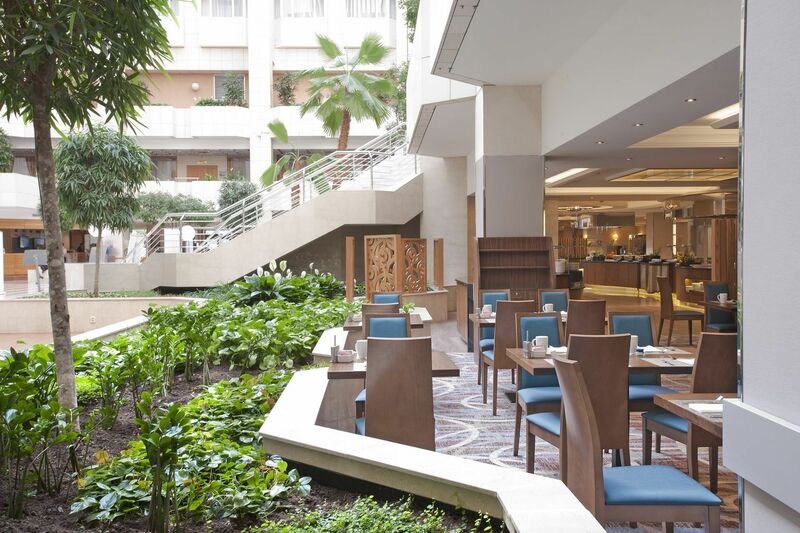 The upper Café & Bistro includes a canopy creating a more intimate atmosphere below open atrium above. 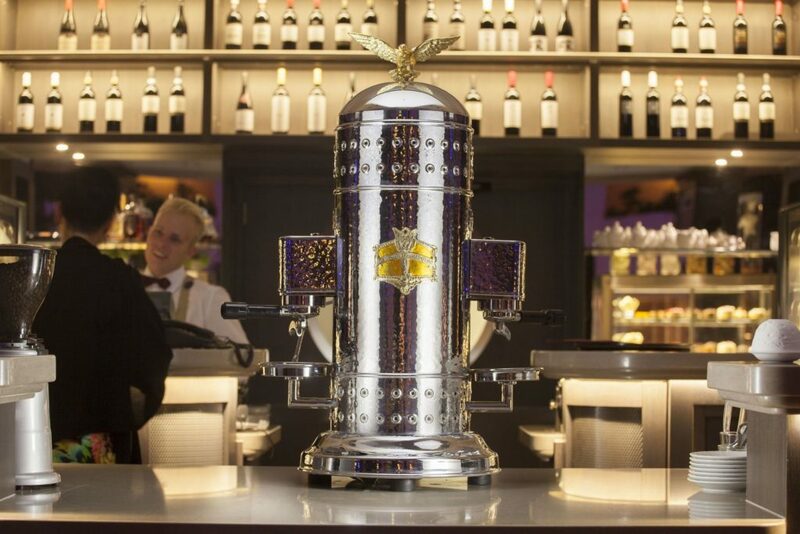 The focus of the cafe is the new bar which features a classic retro coffee machine made by Victoria Arduino. 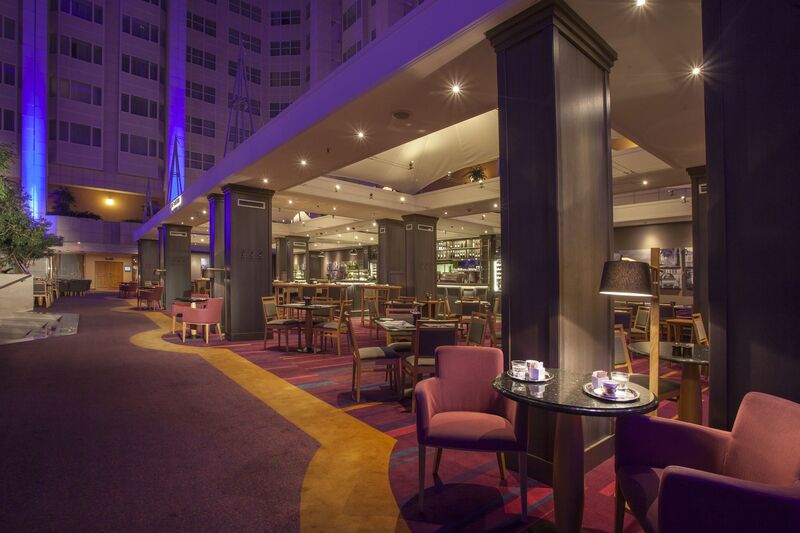 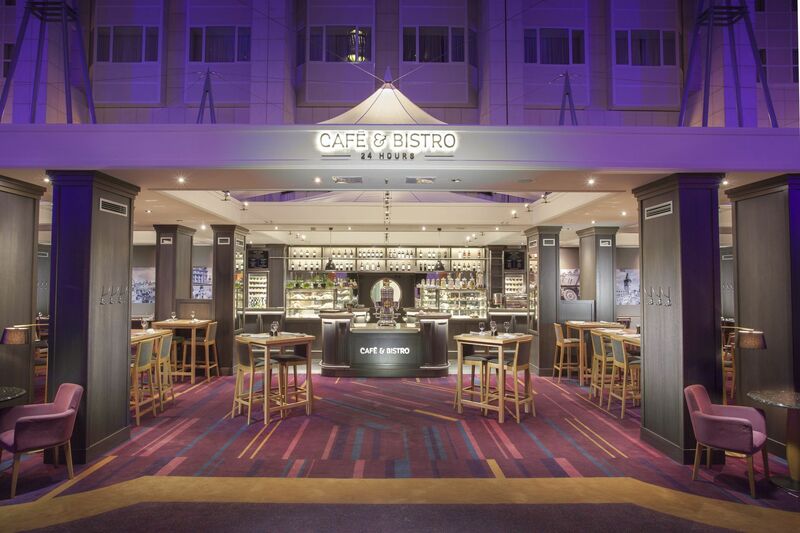 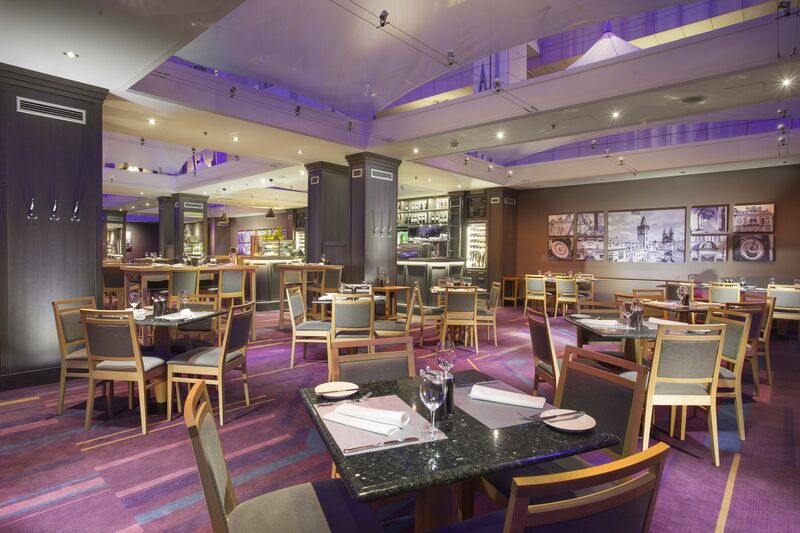 The design theme has a contemporary feel whilst still in keeping with a classic bistro ambiance. 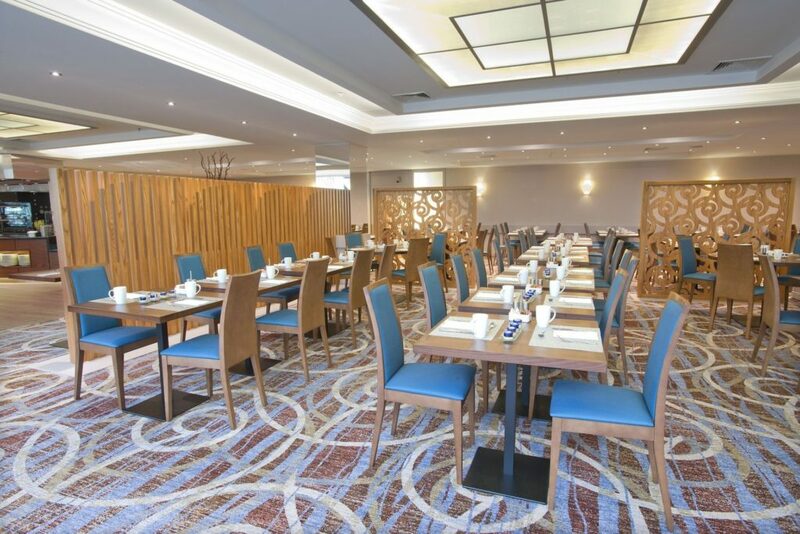 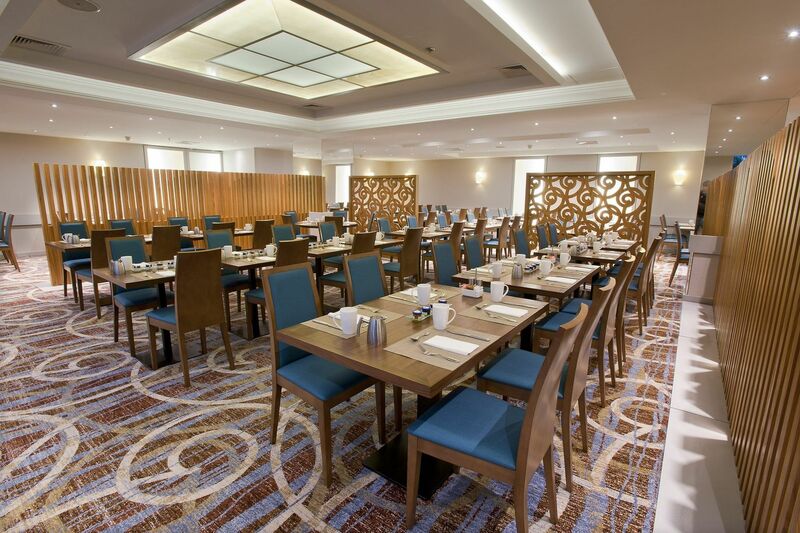 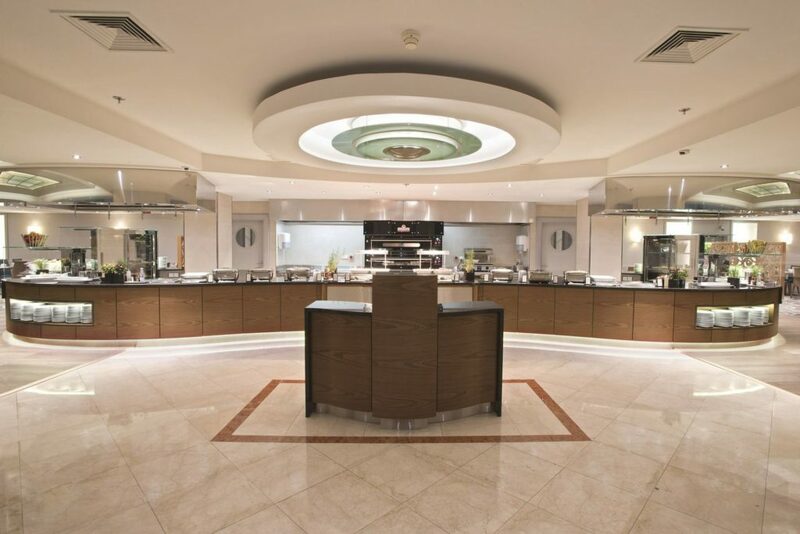 The ground floor restaurant below includes a new buffet, all new FF&E and a specially designed carpet, decorative elements of which are repeated in the joinery, artwork and lighting installations to create a consistent design experience.